Road conditions continue to be extremely precarious this morning. Due to jack knifed vehicles on the A1(M), the northbound carriageway is blocked between J59 and J61, and the southbound carriageway is blocked between J62 and J63. As was the case yesterday, Police are advising against all non-essential travel. If you are using the roads, take extreme care. 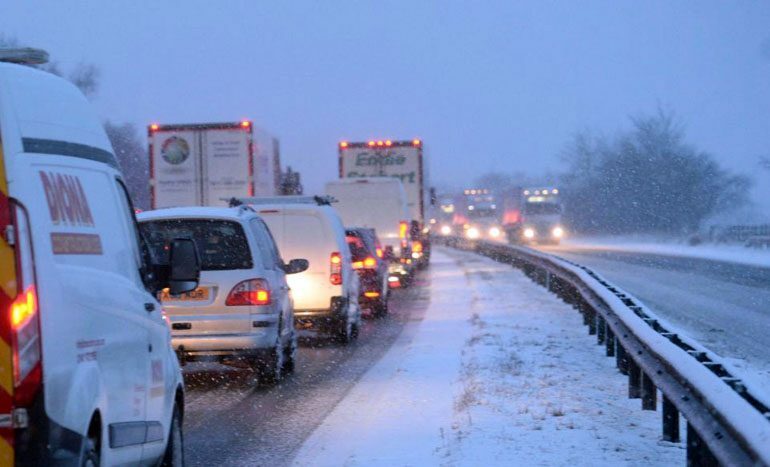 Leave extra time for your journey, keep your distance from other vehicles, and ensure your car is fully cleared of snow and ice before setting off. Further traffic updates will follow throughout the day. Damage has been caused to the A66 snow gates, so although the road may at first appear to be open, it remains closed. A number of collisions on the A19 between Dalton Park and Peterlee have resulted in slow moving traffic on both carriageways. Both carriageways of the A1(M) are down to 40mph between J60 and J63. We would like to reiterate that where speed restrictions have been put in place, they MUST be adhered to. A minority of road users are continuing to drive too fast despite the adverse conditions. Although road conditions are slightly better than yesterday, they are still treacherous. We continue to advise against all non-essential travel.